War Grave Register notes: STEELE, Tpr. William George, 1267. 5th Australian Light Horse. 5th Aug., 1916. Age 27. 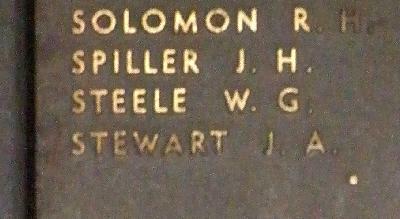 Son of David Joseph and Ellen Steele. Native of Rockhampton, Queensland.